Sometimes a return to basics can be as glamorous as when they first appeared. Consider what an event it was to see Gone with the Wind in the theatres, way back when. Consider what an event it could still be. To be fair, Patron isn't an epic love story. 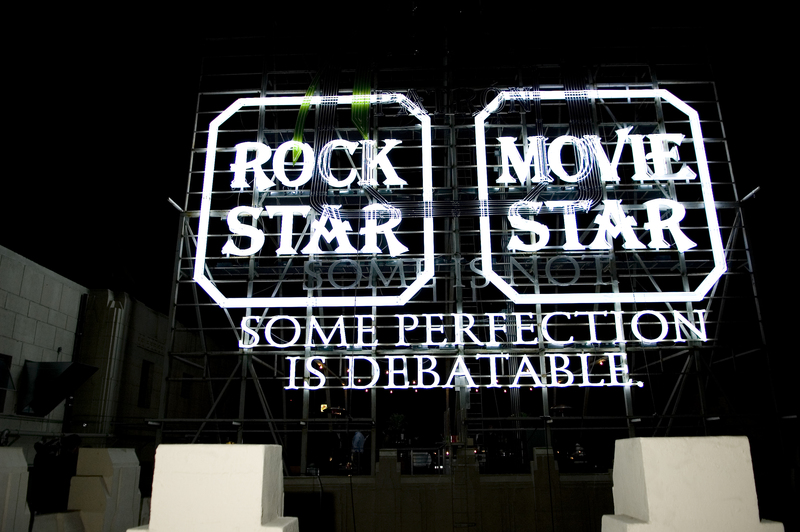 But rightfully, it leaves epic tales to Smirnoff and dazzles us old-school, in Hollywood of all places, with this star-lit changing billboard. First part at left, second part here.